At LoPiccolo Bros. Produce, our primary focus is on food safety. Our goal is to procure, hold, process and distribute safe food products to our customers. 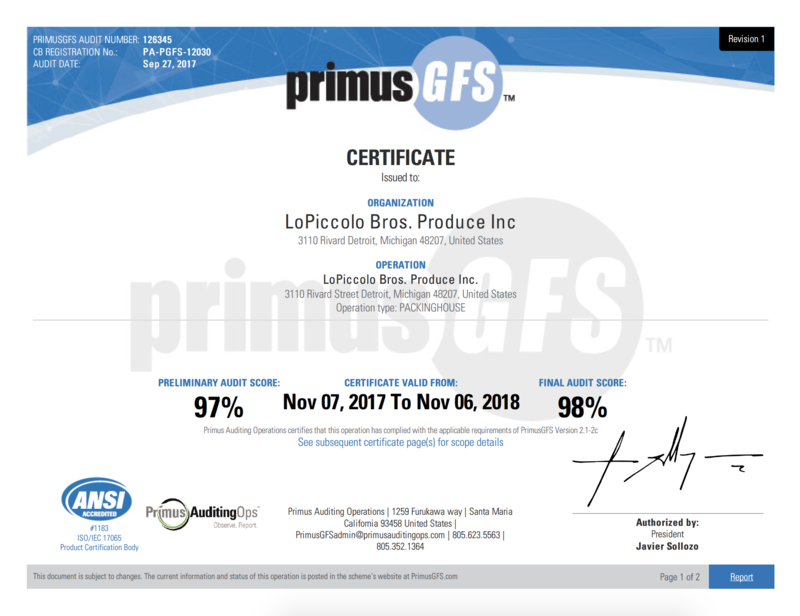 Our facility is regularly inspected and currently holds a PrimusGFS Packinghouse Certification. 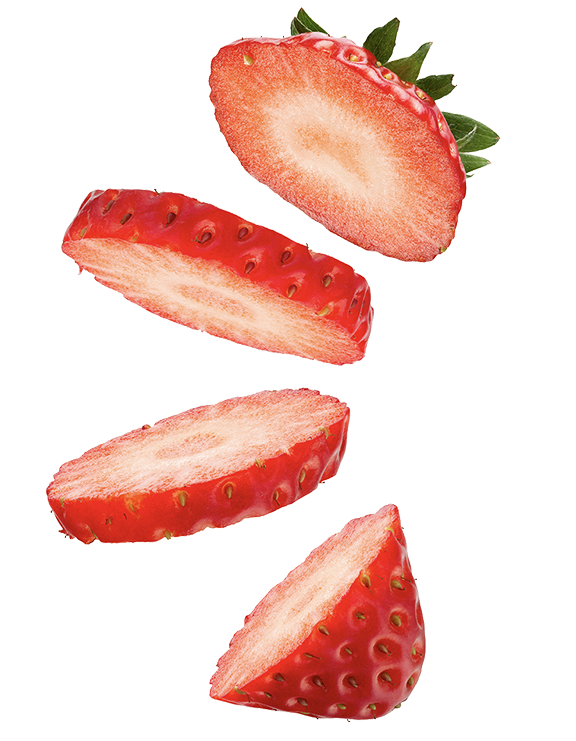 PrimusGFS is a Global Food Safety Initiative (GFSI) recognized auditor for the certification of produce sector products. The GFSI recognitions of the PrimusGFS helps move the produce industry one-step closer to the desired goal of global food safety harmonization. The PrimusGFS scheme covers the entire movement of supply chain. All of our deliveries go through an inspection program that is designed to record the receiving temperatures, carrier lot numbers, weights, grades and conditions of each lot received. LoPiccolo Bros. will reject any load that does not meet any USDA's ``Good Delivery Standards``. LoPiccolo Bros.Produce has a product recall program in place designed to recall any products that may have problems from the farm or from manufacturing. This program is tested internally every six months. Our refrigerated delivery vehicles are all equipped with aluminum flooring to avoid any build up of bacteria which is often times seen in vehicles that have wood flooring. These trucks are sanitized weekly with our own power washing machine. All management at LoPiccolo Bros. Produce has gone through extensive training in Food Safety and HAACP Practices. LoPiccolo Bros. Produce has a written documented cleaning schedule for outside grounds, interior warehouse, building and equipment. We are equipped with an industrial sweeper and cleaner which is utilized on a nightly basis to keep our facility clean and safe. LoPiccolo Bros.Produce has established a formalized in-house pest control program that is monitored on a monthly basis by ORKIN. It is part of our food safety program to prevent food adulteration by pests, pest evidence, or pesticides.